As a physician and attorney, I am intimately familiar with the challenges that health care practitioners face in maintaining a medical practice. When issues arise related to preserving your license or credentials or negotiating an employment contract, there are few lawyers in Wisconsin who understand what is at stake more than I do. I have seen far too many times what can happen when a doctor or nurse tries to preserve his or her license alone. The Wisconsin Department of Professional Safety and Responsibility will not investigate just the original complaint, meaning you may end up having your license revoked or suspended because of another matter entirely that you were not ready for. The stakes are too high and the process is too complex for most health care practitioners to keep their licenses without highly qualified legal advice. 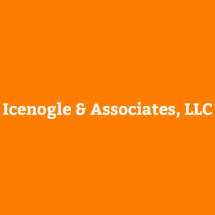 Contact my law firm, Icenogle & Associates, LLC, at 866-625-9104 if you would like to schedule a free consultation. While my office is located in Readstown, I travel across the state to meet with clients.